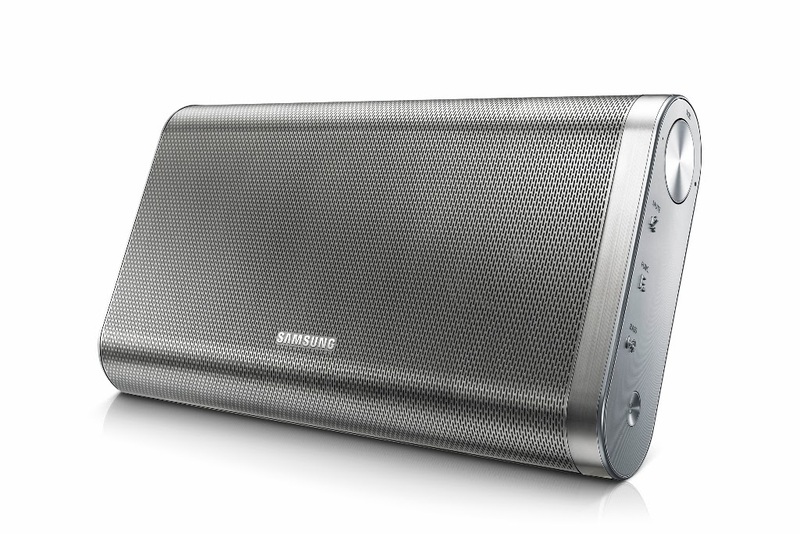 Take your Party anywhere with the SAMSUNG DA-F61, Bluetooth Speaker | Where is Ed Uy? With almost everyone now owning an MP3 player or a smartphone, people can now bring their music anywhere–music that is best enjoyed at maximum volume as you lip-synch the lyrics. This advancement in mobility though, did not bring with it an improvement in sound quality. Smartphone speakers leave much to be desired, and headphones just can’t deliver that social and atmospheric effect that music brings. Maybe that is why portable speakers have become quite a trend. You only have to look at your office desk– and the one beside you to see proof. But as much as they are easy to carry around, it is also quite easy to often lose the wires that come with it (if they don’t break first). 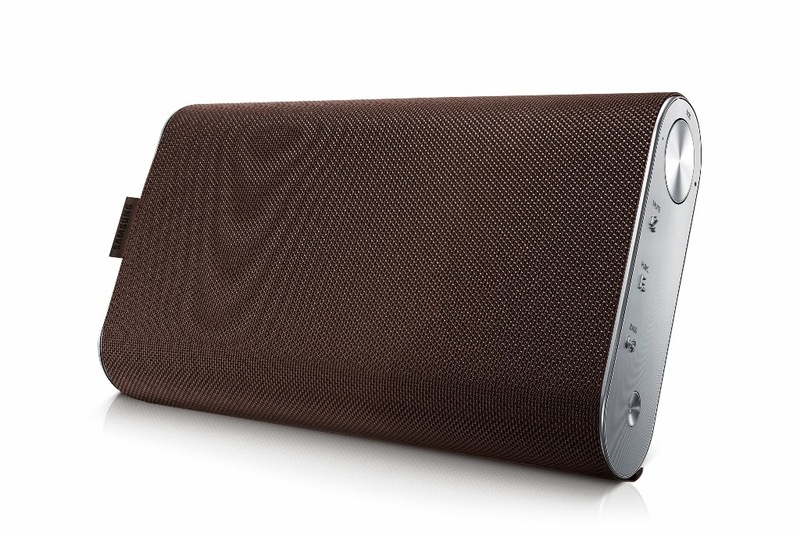 Samsung, an innovator in the world of audio and the leader in mobile technology, recently launchhed its DA-F61 Wireless Bluetooth Speaker to deliver on that experience. Providing superior sound and connectivity in one beautiful and portable package, the DA-F61 lets you entertain yourself or others with great-sounding music anywhere you go. To deliver superior sound, the Bluetooth Speaker is crafted with Neodymium, a metallic element that creates crystal-clear sound. It also features a Passive Bass Radiator for controllable bass levels and APTx which allows high-quality codec playback – ensuring your varying musical preferences are met. Great sound means nothing if your speaker can’t work with your source of music. The DA-F61 makes connecting a breezy and wire-free affair thanks to Bluetooth connectivity. Device-pairing is made even simpler thanks to NFC technology – all you have to do is tap your NFC-capable device and it’ll automatically connect to the speaker. If your device happens to be a Samsung TV*, you can also project its sound thru the bluetooth speaker thanks to SoundShare. All these sound and connectivity enhancing features are cased in a beautiful and portable body, boasting a full metallic finish and a weight just a little over a kilogram. Bringing it anywhere at any time will be a cinch and will surely attract a few stares of admiration. Music and how it is consumed has changed drastically in the last few years. 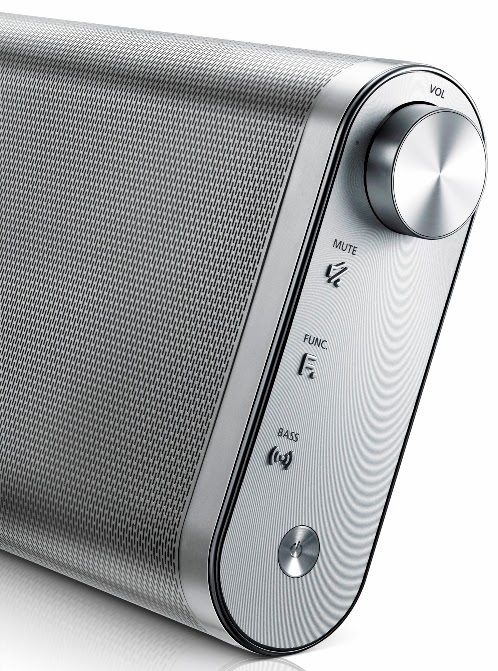 Samsung with its DA-F61 Wireless Bluetooth Speaker makes sure you keep up with these changes – letting you and others enjoy the music you love anywhere.